Apple’s ARKit enables new update, which brings true AR to the wildly popular mobile title. The new patents, relating to compositing an AR scene, signal another success for Apple’s AR future. Tim Cook says the technology 'Doesn't exist... in a quality way'. 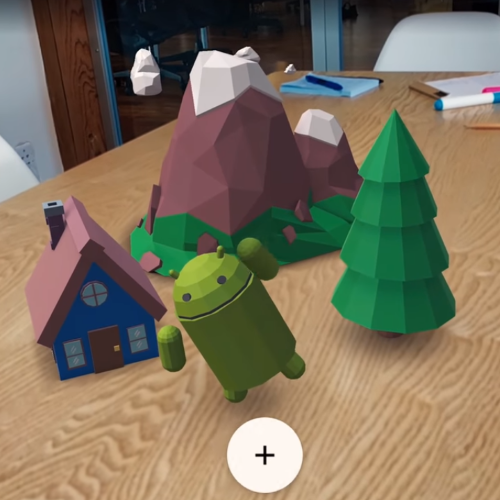 Focal Point: Is Flatscreen AR Really AR? Our panel of industry experts look forward to the general release of Apple’s ARKit this autumn and touchscreen’s potential as a minimum viable product for AR. Update 4.17 also includes other new tools and enhancements. And how developers can get to grips with the new framework. WWDC announcement sees AR come to Apple’s mobile platforms with ARKit; the largest AR platform in the world - overnight?